Membership dues for the 2018-2019 school year start at $10. Purchase your membership online by selecting the membership and entering your email address and child's name and class. 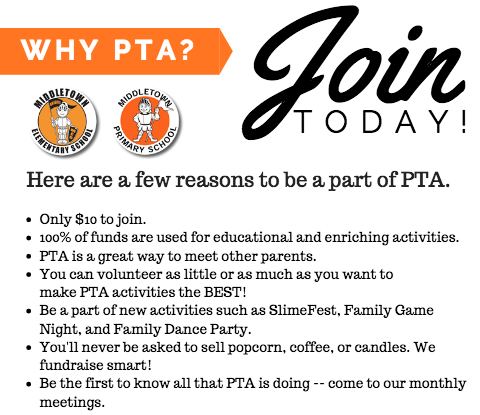 This information will be used to send your PTA membership card. Click the "buy now" button and you will be taken to a secure PayPal website to complete your transaction. Purchasing your membership DOES NOT obligate you to volunteer. Membership cards will be sent to you in your child’s Take-Home folder within a week. Remember, your PTA membership needs to be renewed every year. Activate your membership here. You will need your PTA Unit ID from your card.